There is going to be a final price for your kitchen or bathroom remodel and there are many factors that go into that price. You need to include the scope of the details. For instance, you may be tearing down a wall or adding a window. A sink that is being moved requires new plumbing. The same for a gas hookups for stove. Those are all the kinds of things that should be included in your contract details. You should also make sure your contract spells out the amounts paid for every item and when they should be paid. Obviously, some of this might be approximations especially when it comes to labor cost if a crew ends up working overtime. That is why you should always build in a contingency so that there won’t be any surprises. A fixed price contract means you’ll be paying a contractor one fee for everything. It’s up to them to deliver on the parameters of the design. 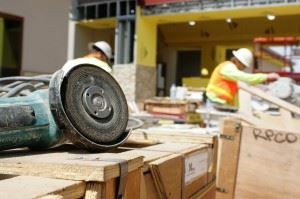 A fixed price contract means the contractor will pick up any differences between extra labor costs or an increase in materials. You may be asked to enter in a “cost plus” contract. This means that if there any overruns on the project you split the costs between you and the contractor. That might sound like a good deal at first but it’s also something that could set you up with a lot of squabbles. Some contractors may want to include a materials allowances for major expenses like cabinets and countertops. This could mean they assign a price to those items before you even go out shopping for them. Unfortunately, you might be stuck paying for more expensive items because that’s exactly what you want. There’s nothing wrong with that but you should know those costs up front before you get started. Once everything has been agreed on the project get started with the demolition phase. However, that should begin until all the materials have been delivered to your property. You don’t want to rip out your kitchen on a Monday and then wait a week for the new cabinetry to come. Speaking of demolition, you might find that a good way to save money on your remodel is to do some of that demolition on your own. That could save on labor costs. You can also hire your own cleanup crew. That’s where Junk King Boston comes into play. These are the professional junk haulers who have a lot of experience cleaning up after remodel demolition. You want to make sure all the trash generated at your remodel can be removed in an efficient manner. Junk King Boston can do that with no problem and at a great cost. This entry was posted in Boston Junk Removal and tagged demolition, Junk King Boston, remodel on June 26, 2017 by Junk King. Last updated June 26, 2017 .